It can be a polarizing topic among some people. I was eating less meat for a few years when I learned more about factory farming and how gross it is on ethical and nutritional levels. Some people prefer to opt-out all together because of those reasons. And while factory farming is still going on, there are changes happening and building that may not be getting all of the attention they deserve. With the growth of the paleo and ancestral diet community has brought with it a big demand for cleaner meat, and that call is being answered. All over the country, farms big and small are investing in more ethical ways of growing and slaughtering meat. Some are even taking it a step further and restoring the land these animals graze on, so the lifecycle of that ecosystem and tip back into balance. Pasture raised and grass fed are starting to show up on products more than cage free or free range, which are all great signs that more momentum is building in a better direction. So what do those terms mean, pasture raised and grass fed? Pasture raised means they’re raised outdoors, more of the time the animals live outdoors and eat the pasture, soak up the sun. This is a more traditional way than factory farming indoors. These pastures can be large, or on the smaller side if the farmers are practicing regenerative land management. Grass fed means the animals eat a diet of grass and what’s in the grass and that’s it. No grains, no weird feed that’s probably soy. By the animals eating grass (and this goes for beef, pork, lamb, other meat from four legged ruminants), they’re getting more vitamins and minerals than whatever feed they would, and it’s more natural to how they were designed to eat. It used to just be you had to find a guy with a farm and buy half a cow and need a giant freezer. Not anymore. This movement is gaining more traction, and still has more ways to go before it’s at a huge scale. The meat is starting to make grocery stores, be able to be shipped across the country or across states. You can find local growers here. Even with this progress, I’ll be real with you, properly raised, nutrient dense meat not super cheap. Factory farmed meat does benefit from getting government subsidies to keep prices low, and they’re probably spending less money for a subpar product. The “you get what you pay for” is very real. And it makes sense. I would rather pay for better food than a slew of medical bills and medication later on. There are ways to make grass fed, pasture raised meats more affordable to add into your diet and one of those ways buying it ground. Ground meat cuts are cheaper than the other grass fed cuts, and they’re easier to find in most markets. Grass fed beef is the most common out there. If you can find ground bison or lamb that’s grass fed, try that too, depending on where you live that could be easier or harder to find. And you can stretch ground meat in lots of creative ways. Ground meat is for more than just burgers, meatballs and meatloaf. You can easily just cook up half a pound or a pound and add it to any dish. 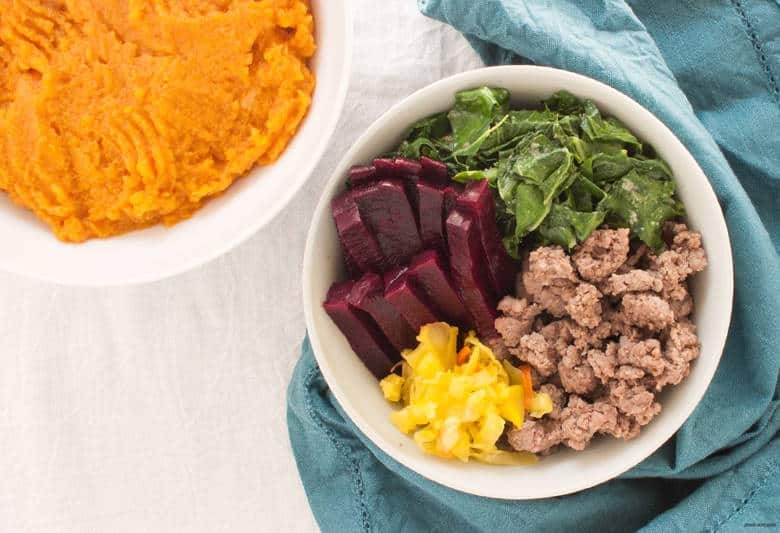 My Paleo Butternut Squash Bowl is a perfect example. 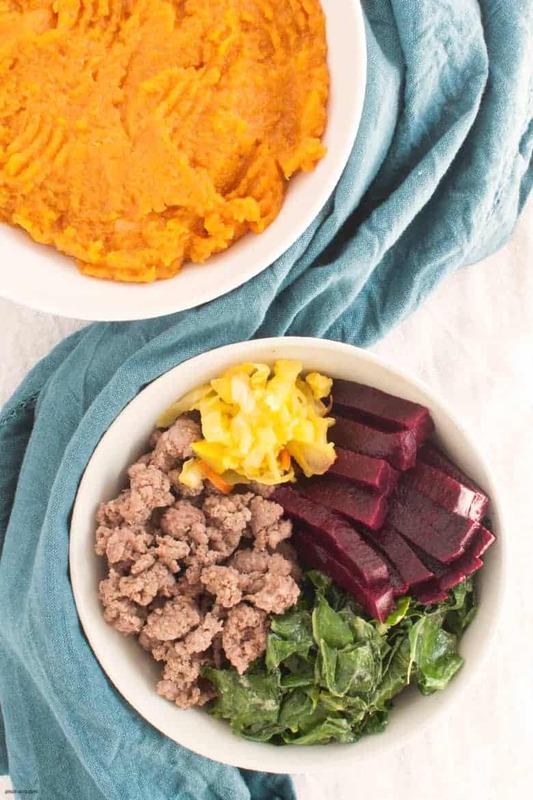 With a comforting and oh so fall layer of mashed butternut squash at the bottom, this bowl is packed with lots of veggies in addition to the ground beef. 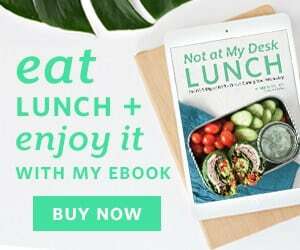 The recipe may look longer than my usual recipes, that’s because there are some options for you. 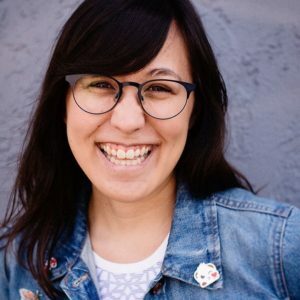 I’ve got a directions for making the mash and the beets if you’ve got an Instant Pot (which is SUCH a game changer for meal prep) or in the oven. Use the directions that apply to what you’ve got. One of the delicious things about this recipe is the order it’s in. You’ll cook the grass fed ground beef first in pan and then transfer it into a bowl, leaving all the fat and juices in the pan. Then you’ll immediately use that liquid gold and cook your collards in it. Fat + collards is a match made in flavor heaven, and one less ingredient to use. Win win win. As always, you can customize this bowl to your tastes or what you have available. The collards and be swapped out for another green like kale or Swiss chard. You can use whatever sauerkraut you have or like, the one in the photo is a curried kraut from Wildbrine. Make sure whatever sauerkraut you have or are buying is raw and unpasteurized. Pasteurization will kill the bacteria that makes kraut a powerful superfood. If you’re not really into factory farming and want to support properly raised animals that provide you amazing nutrition, go grass fed. And if money is a concern, reach for the ground meats. To cook the butternut squash in the Instant Pot, insert the trivet in the bottom and pour 1 cup of water in the bottom. If the squash is too big to fit in the Instant Pot, cut the squash into halves horizontally. Set the Instant Pot to manual high pressure for 12 minutes. Once done, release the pressure. To cook the butternut squash in the oven, preheat the oven to 400. Lightly drizzle with butter or olive oil and roast for 40-60 minutes or until fork tender. Spoon cooked flesh into a mixing bowl and discard skin. Mash the squash with a fork and mix in butter and spices until squash is a smooth mash. Taste and adjust seasonings as needed. To cook beets in the Instant Pot, rinse Instant Pot trivet and insert out and dry off. Place trivet and insert back into the Instant Pot and add in 1 cup of water. Add beets and set to manual, high pressure. Small beets will take around 10 minutes, medium about 15. Larger beets set to 25-30 minutes. If the beets aren't fork tender, set for an additional 2-3 minutes of high pressure and check again. Once done, release pressure immediately and remove beets with tongs. Once beets are cooled, peel skin and cut into strips. To cook beets in the oven, preheat oven to 425. Peel and slice beets into strips and roast for 15-20 minutes, until fork tender. Bring a medium to large sauté pan to medium high heat and add in ground beef. Break up with a spoon and cook until browned. Spoon ground beef into a bowl, leaving the fat in the pan. Bring the pan back to medium heat with the fat still in the pan. Add in collard greens and cook until wilted, about 5-8 minutes. Season with salt, pepper, and garlic to taste. Assemble your bowl. 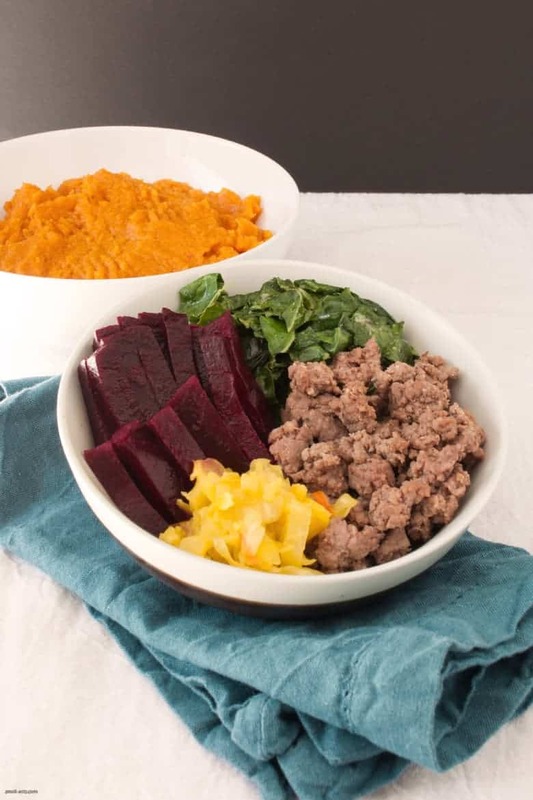 Spoon the mash in the bottom of the bowl and arrange the collards, beets, ground beef and sauerkraut on top and enjoy.